STARTING SCREEN | 2017 saw the release of the "most powerful console ever," but tech hardly seems to matter anymore. 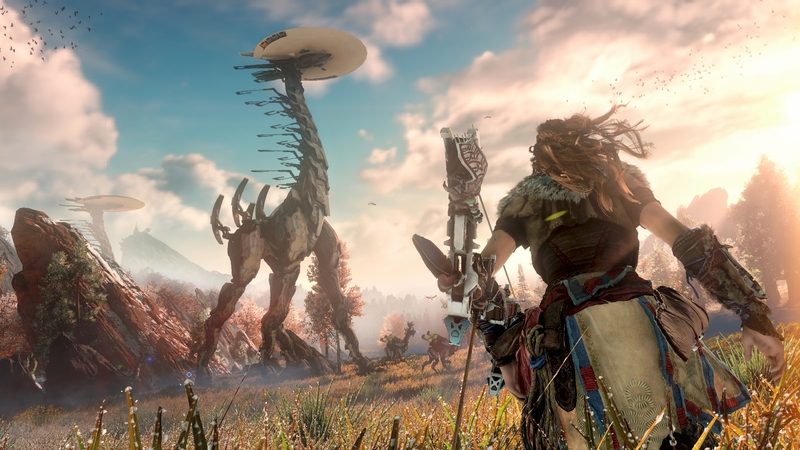 From a technical standpoint, Horizon Zero Dawn was one of 2017's most impressive games. It was consistently cited as an example of "4K and HDR done right" and held up as the main reason to buy a PS4 Pro. 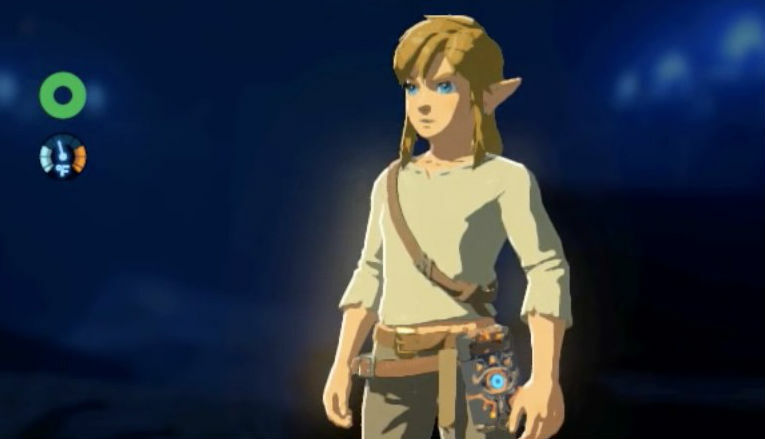 It was nominated in several categories at this year's Game Awards before being unceremoniously swept by The Legend of Zelda: Breath of the Wild—a game that could have probably been released on the PlayStation 3. We're at the point where we're okay with graphics being "good enough." Breath of the Wild's supremacy is closely tied to the blockbuster success of the Nintendo Switch, which is one of the great stories 2017. In designing their new console, Nintendo bet that portability and a large library of indies and first-party exclusives would be enough to keep them afloat. So far that bet has paid off hansomely. The Switch is part of a broader trend that has been going on for some time now. Steam and mobile developers have been making hay for years with 2D pixel art. Blizzard realized a long time ago that great art and smart design always trumps the best graphics. With tech providing ever-diminishing returns, attention has increasingly turned to what matters: design. You wouldn't know it from watching Sony and Microsoft, though. With consoles now being viewed as premium products almost on par with gaming PCs, both platform holders are hellbent on wringing every last drop of power from their respective machines. This year Microsoft released the Xbox One X, a console they touted as "the most powerful ever made." Both Sony and Microsoft are aggressively pushing 4K and HDR as the future of console gaming. PUBG: Good game? Yes. Best looking game? No. For these two platform holders, old habits die hard. While Nintendo has long since peeled off in the pursuit of the "blue ocean," Microsoft and Sony are still determined to sell themselves on their tech. They are egged on by hobbyists obsessing over minute changes to the framerate and graphical fidelity, as well as developers who want a home for showpiece games. But for all that, Microsoft's most important console exclusive may be PlayerUnknown's Battlegrounds—a buggy PC port with some major tech issues. 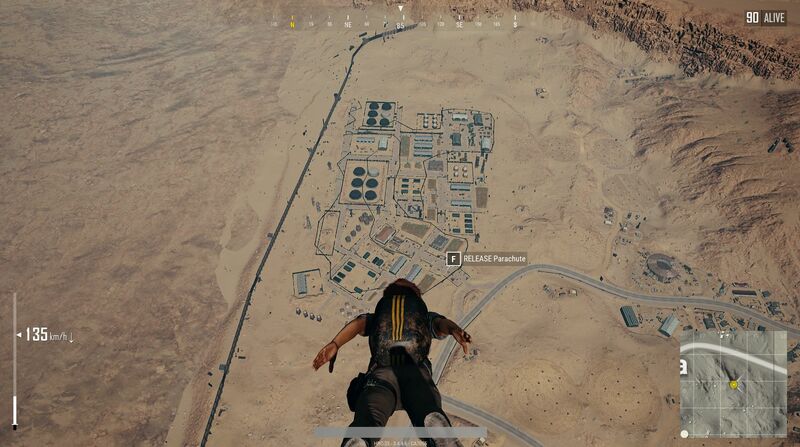 In less than a year, PUBG has roared to the forefront of console shooters with its innovative "Battle Royale" concept. It's not what you would call ugly, but no one is calling it the most beautiful shooter of the year. The success of PUBG only serves to highlight the diminishing returns offered by graphics today. We've now reached the point where most games look "good enough," with meaningful improvements being much harder to parse with the naked eye. 4K graphics consume massive amounts of computing power, but I'd wager that the average person can't tell the difference between 4K and 1080p. It's a far cry from even 10 years ago, when the leap from the PlayStation 2 to the Xbox 360 resulted in spectacular games like Call of Duty 4, BioShock, and Gears of War. The transition from the SD to the HD era was the last time graphics took a really major leap, and short of VR actually fulfilling its promises, I doubt that we'll ever see anything quite like it again. These days the most important thing is to imbue your game with personality. Mario Odyssey is a splendid example of how little details can transcend graphical fidelity, from the way he'll shiver at night to Bowser's comments on his various outfits. On my flight home from the UK, I played a load of Darkest Dungeon on my iPad, and I was reminded of how much its terrifying narrator adds to the atmosphere. In 2017, a great sense of style can more than make up for lower graphical fidelity. Meanwhile, the push for ever greater graphical fidelity is proving to be like quicksand for major developers. Spiraling development costs are forcing publishers toward unsavory business models; finicky engines are killing projects before they're ever released, and development is becoming enormously complex multi-studio affairs. Even indie developers are feeling the pinch as they try to keep up with the ongoing arms race. Sony and Microsoft want to make the second half of this generation about 4K. It's not. If anything, the push for better graphics can be a detriment. The better the graphics, the longer it takes to design high-quality and assets, which makes big-budget projects naturally conservative in their aims. Horizon Zero Dawn is a prime example of this dynamic, being a painfully conservative open-world game wrapped in a beautiful packaging. Game development is hard in any case; but the second you commit to top-tier graphics, you can't help limiting the scope of your ambition. There are always tradeoffs. As we were reminded this year, great graphics aren't a end in themselves. They're a good way to get noticed in a very crowded market, and they're certainly fun to argue about. Nevertheless, a year that was supposed to be all about 4K "super consoles" was dominated by the Switch, PUBG, and offbeat low-budget action games with multiple endings. We'll still be arguing over tech and comparing the PS4 Pro and the Xbox One X in the new year. Tech is part of gaming's DNA, after all. But with everything from Fortnite to NieR: Automata selling millions of copies, the arguments hardly seem to matter anymore. And I'm kind of okay with that. Everything is super-busy here at USgamer. We're taking the last laps on the games that are contenders for our Game of the Year list and deciding what's going to take the top spots this year. All that will be appearing on the site over the course of the next few weeks. This week though, here's what's you can expect. PlayerUnknown's Battlegrounds Full Release: PlayerUnknown's Battlegrounds on PC is going 1.0 to close out the year, bringing with it 3D replay and a Killcam. You can expect our review as well! Life is Strange: Before the Storm Finale: Life is Strange's prequel concludes with its third and final episode this week, finishing off the events that take place several years before the original game. Caty is planning to review the entire season before heading off on vacation. Though the Zelda series' main theme is its most recognizable piece of music, there are a number of beloved tunes that have become iconic across several games. "Zelda's Lullaby" is one example. "Gerudo Valley" is another. So is the theme belonging to the series' birdlike Rito race. We first meet the Rito in Wind Waker for the GameCube. Their home is built up the side of a volcano, atop which a dragon roosts (hence the name "Dragon Roost Island"). The jolly, tropical tune representing Dragon Roost quickly became a fan favorite, and I was chuffed to hear it make a return in Breath of the Wild. The Rito theme is calmer and quieter in Breath of the Wild compared by Wind Waker. It might be a reflection of Breath of the Wild's slower pace, though Breath of the Wild's shivering strings also work as a nice audio representation of the Rito village's cold climate. Listening to it, Breath of the Wild's take on the tune does remind me of those late October mornings when the sparse sunlight is barely enough to thaw the frost in the air. Brr. I'm glad Link's the one who has to climb Hebra mountain and not me. I haven't seen anything else quite like Witchball this year. The latest game by game designer S.L. Clark, Witchball is a "post-reality" high-speed race on foot, while two players fling a glass buoy (or witch ball) back and forth like Pong until one scores (or crashes into the environment). Points are gained in both aspects of the game: in who can navigate their lap quicker, and who can score the ball to the opposing side. Visually though, Witchball is much more than just a clever tweak on Pong. The almost-chaotic game marries lo-fi, glitchy aesthetics with what seems to be highly textured pixel art (at least, sometimes). In essence, Witchball looks like a Commodore 64 game that a ghost has made its new home. There's something inherently gloomy and eerie about how it all comes together, from its art direction to its sound; but it's all the more hauntingly beautiful for it. In just the game's captivating trailer, as a Lily and Horn Horse song plays, Witchball's aura crystallizes. Almost like the glass orb you're flinging back and forth within it. Witchball is available for $5 on PC on itch.io. So, Star Wars: The Last Jedi came out last week. I'm not sure if you noticed. The film premiered to an opening weekend take of $220 million domestic and $450 million worldwide. Those numbers put it right behind The Force Awakens. Assuming the film continues to perform like other Star Wars movies, the domestic tally is estimated to hit around $750 million on the low end. That's probably good enough for at least $1 billion worldwide, even with the fact that Star Wars isn't necessarily as strong in the rest of the world. A Star Wars film making money isn't really interesting news at this point. What is interesting is how divisive the film is. Some enjoy it because the film blows up some expectations and ideas of Star Wars canon; these are likely the same folks who found The Force Awakens to be a bit cookie-cutter. Some find it flawed, with one subplot being called out as bringing down much of the film. More importantly, on certain platforms, the audience score is wildly diverging from the critic scores. Over on Rotten Tomatoes, The Last Jedi has a 93 on the Tomatometer, with an average rating of 8.2/10 from critics. The audience score is down to 56, with an average rating of 3.3 out of 5. Once again, the surface information isn't the interesting here; critics and audiences not agreeing happens. The interesting touchpoint is those reviews aren't matching the audience reporting from at-the-theater polling. ComScore's PostTrack polling of actual theater audiences had 68% that rated the film "excellent", 21% as "very good," and a total of 82% said they would "definitely recommend" it. That's not the only metric that's showing the general audience as enjoying the film. So why the difference there? Some have pointed to potential review bombing. A number of random TJL audience reviews had ended up on Jumanji and Coco, with some suspecting this is a bot that is operating in error. Either way, we essentially have to wait until next week. The numbers for this weekend improved day-to-day, which doesn't point to poor word-of-mouth. Next week will be the real touchstone. If TJL holds on, it's a very small, but very vocal group of fans who were dissatisfied. If it doesn't, then the RT audience score was just there before the general audience was. We'll see. For my part, I enjoyed The Last Jedi. I still enjoy The Force Awakens and Rogue One. They are three very different films that do very different things, so I enjoy them for different reasons. Lots of people seem to have opinions on The Last Jedi. It seems to be about as polarizing as everything else in 2017. Here's my opinion. For once, Star Wars actually had something to say. 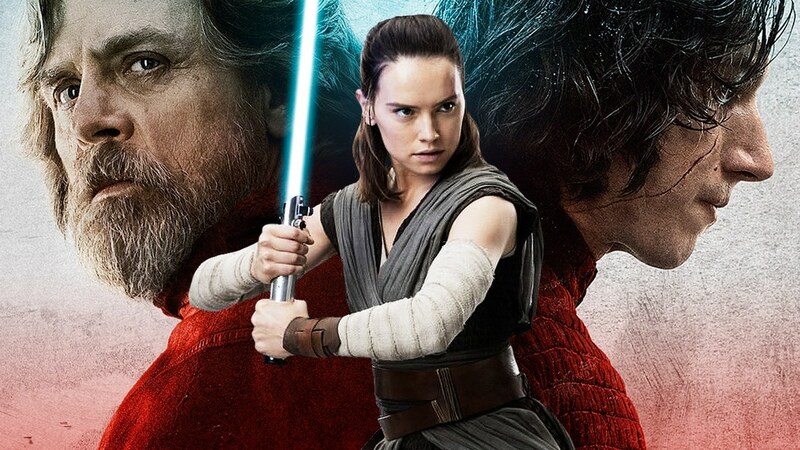 Last Jedi evolved the series without sacrificing its spirit, and dramatically reduced my cynicism around it. Basically, I think I like Star Wars again. I wish I could address some of the more specific criticisms, but I don't want to get into spoiler territory. But suffice it to say, I like the whole thing. Yes, even the casino scene. It's the best Star Wars film since Empire Strikes Back. I always have big ideas about playing through a bunch of games when I fly. This time around, I brought a Switch fully loaded with Breath of the Wild, Xenoblade Chronicles 2, Mario Odyssey, and even Skyrim. The game I ended up playing the most? Darkest Dungeon, which came out almost two years ago. I did get some quality time in with Xenoblade Chronicles 2, but then I remembered that I left my power cable in my suitcase, and my Switch died about halfway through the flight. I guess my backlog will have to wait a little while longer. Speaking of Xenoblade Chronicles 2, I received plenty of advice from helpful listeners on how to get maximum value out of the battle system after the latest episode of Axe of the Blood God. It's funny: The battle system isn't actually that complex, but it's hard to parse all of the systems with the way that it displays its information. I'm getting it now, but it still feels like there are two or three things about it that I really need to master. Still, I like it. It's the final week before we all head for vacation, which means its time for a bunch of 2017 retrospectives. This week we'll be posting Top 10 lists from each of our writers, which Nadia kicked off earlier today. We'll also be hosting a two part Game of the Year podcast, as well as picking our 20 Best Games of 2017 and the Console of the Year. This piece was born from a discussion that Caty and I had over drinks last week. At one point we were talking about how Destiny 2 is a pretty solid podcast game because you don't need to think about it too much, and it got us to thinking about other games we like to play with the headphones. My current podcast game: Darkest Dungeon. We're wrapping a successful year here at USgamer. We'll be off starting Friday, and we'll be back January 2nd. Thank you for supporting us over the course of a very busy 2017, and we look forward to another great year! Tagged with Feature,	Starting Screen,	USgamer.